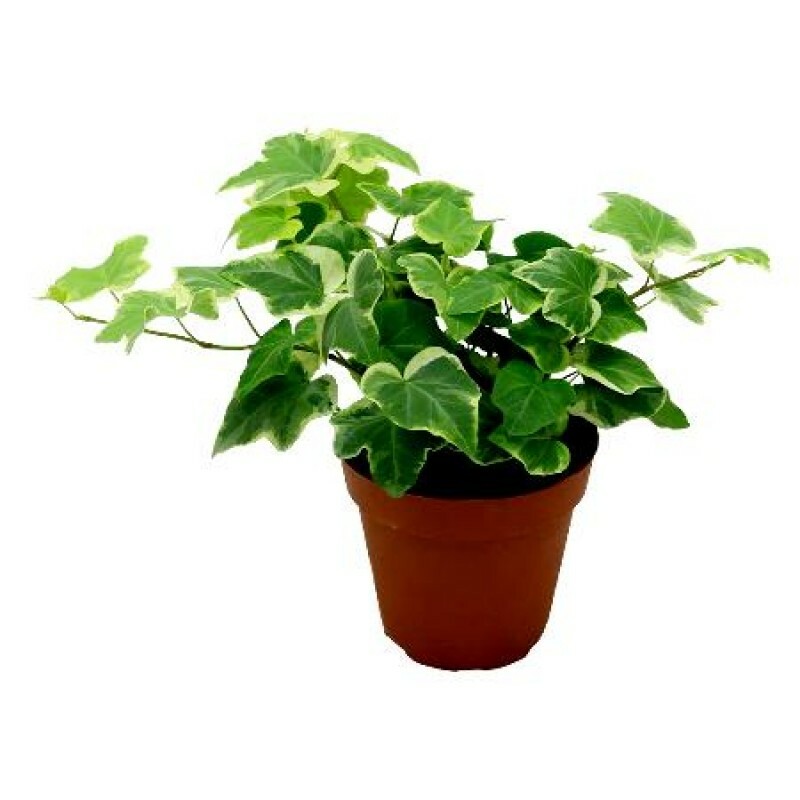 Ivy is a common houseplant, which somewhat belies the fact that it’s not particularly easy to grow indoors. They don’t much like artificially warmed, dry air, which describes most heated and air-conditioned homes today. Nevertheless, ivies continue to be seen throughout garden centers because of their beauty. Properly grown ivies make wonderful trailing plants, climbing plants, and even indoor topiaries. Light: Bright light in summer, but not direct sunlight. Bright winter light also. Water: They prefer moist, humid conditions, but not soaking. Don’t let soil dry out and keep evenly moist. Temperature: Ivies prefer cooler nights, often below 60ºF. Many species can overwinter outside and will grow back from their stems. During hot summer days, mist frequently. Soil: Loose, well-drained potting mix. Fertilizer: During growing season, feed with controlled-release fertilizer or biweekly with weak liquid fertilizer. Ivies propagate readily from stem cuttings. Because they are trailing plants, ivies benefit from trimming—use these trimmings to propagate your plants. Repot every year into fresh potting soil, or every other year for larger plants. Old, tired plants can be refreshed and planted back into same containers. The vast majority of ivies seen in garden centers are so-called true ivy, from the genus Hedera. There are actually 15 species of Hedera, but H. helix is the star as far as cultivated plants are concerned. It has been extensively hybridized into a number of interesting leaf patterns and shapes. Growth requirements for all Hedera ivies are similar. The trick to growing healthy ivy is to provide cool nights and moist, humid conditions. H. Helix varieties typically have aerial roots that cling, so the plant can be trained up supports or allowed to trail from hanging baskets. Remember to frequently mist your ivy for best results, especially during dry winters. To keep an ivy compact and bushy, pinch off the growing tips. Plants nature is indoor-semi shade, alternate day watering. Useful for air purifier, gifts Plants, table top Plants & hanging pots. Best foliage plant & air purifier plant. Areca Palm The Areca Palm, scientific name Dypsis lutescens (synonym: Chrysalidocarpus Lutescens) is a beautiful palm tree from Madagascar. This plant is also known as Butterfly Palm, Yellow Palm, Golden Cane Palm, Madagascar palm and Areca Lutescens. It is a common ornamental in subtropical and tropical regions around the world. Probably it is the most cultivated nursery palm tree. However, it is endangered and very rare in its natural habitat Madagascar. The Areca palm is a low maintena..
Areca Palm Small Indoor Plant The Areca Palm, scientific name Dypsis lutescens (synonym: Chrysalidocarpus Lutescens) is a beautiful palm tree from Madagascar. This plant is also known as Butterfly Palm, Yellow Palm, Golden Cane Palm, Madagascar palm and Areca Lutescens. It is a common ornamental in subtropical and tropical regions around the world. Probably it is the most cultivated nursery palm tree. However, it is endangered and very rare in its natural habitat Madagascar. The Areca pal..